All Lockfast Grafx shipping cases are built for toughness and convenience. Diameters are inside diameters; heights are the maximum graphic sizes. Standard cases are about 4 inches taller than graphic size. 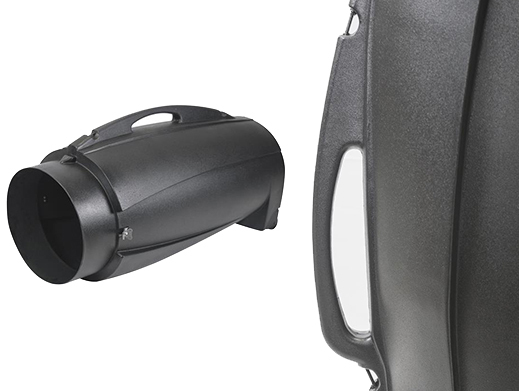 Case linings and other accessories result from our years of experience with customer needs. All our cases are shippable via UPS or Fed Ex and can be checked onto commercial airlines. Our mainstay family of 12-inch protection cases meets most graphics carrying and transporting needs. These rugged, extra-rigid, rotomolded thermoplastic shells accommodate lengths of 32 through 72 inches. 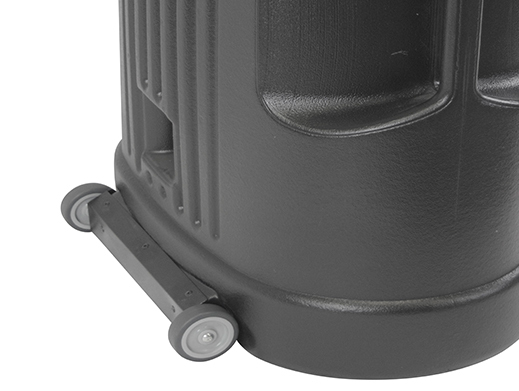 Integrated lid handles and protected base wheels add convenience for all models. All models feature an adjustable carrying strap. Fully recessed latches offer locking options for security and added protection. Occasionally a big job requires a big helper. 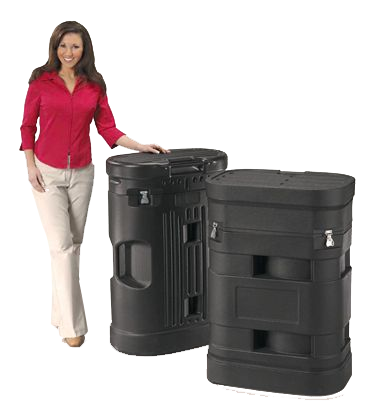 Our 16-inch-diameter models feature the same tough construction and convenience features as the 12-inch models, but with a larger diameter option to better suit certain carrying and protection needs. These widebodies come in lengths of 42 and 50 inches. Lockfast provides two durable popup models depending on your budget and shipping needs. Both models offer relatively large work surfaces, lockable latches and internal separators for frames and panels. If you ship your popup display frequently, we recommend our deluxe model. Its rugged rotomolded construction, sturdy molded-in handle and recessed wheels add durability and utmost protection throughout repeated shippings. If your budget is limited or you ship your popup display only occasionally, consider our standard model. Its well designed features perform well for less taxing shipping schedules. 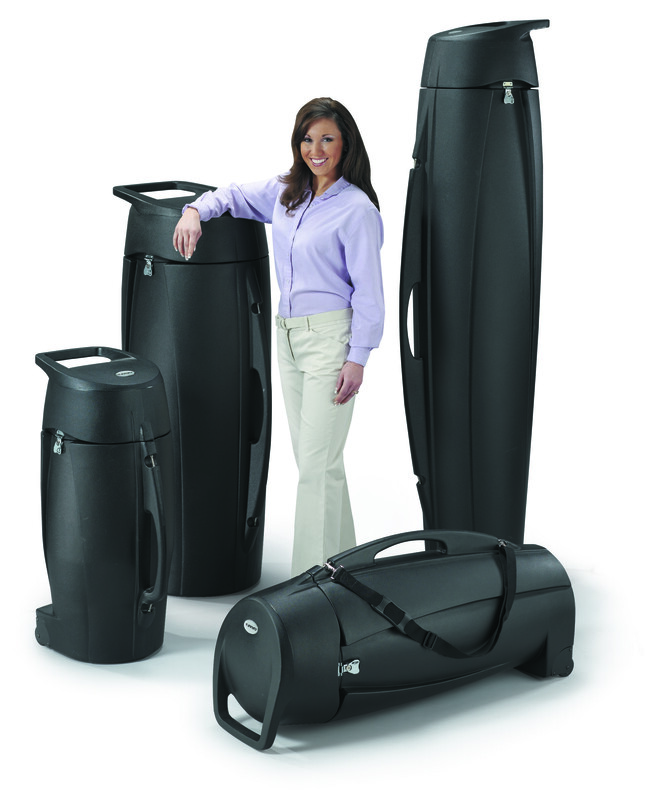 Standard Transport (12) 32", 38", 50", 72"
Standard Transport (16) 42", 50"
Standard Popup (15 x 26) 38"
Deluxe Popup (18 x 26) 38"
*The 26-inch model does not have lid handle or wheels. The Lockfast mission is to provide the highest quality, competitively priced products backed by outstanding customer service. We offer perhaps the broadest product range of any competitor serving the exhibition and assembly markets. Extensive warehouse capacity enables same-day shipping. Trust Lockfast as your reliable, cost-effective supplier of quality products for displays, exhibits, signs and certain flexible-closure applications. We are your full-service, single-source solution for all your display needs. Contact Lockfast today for more information about how we can enhance your competitive edge. Rotomolded thermoplastic shipping cases with integrated handles in the lid. Wheels protected by heavy metal fenders for durability and easy transport. 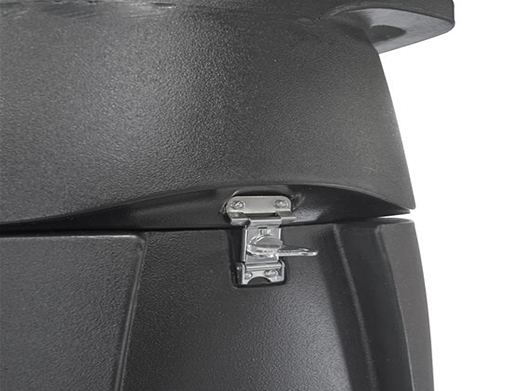 They feature fully recessed butterfly latches to help prevent damage during transit.